Catch a sea breeze with these bright blue earrings. 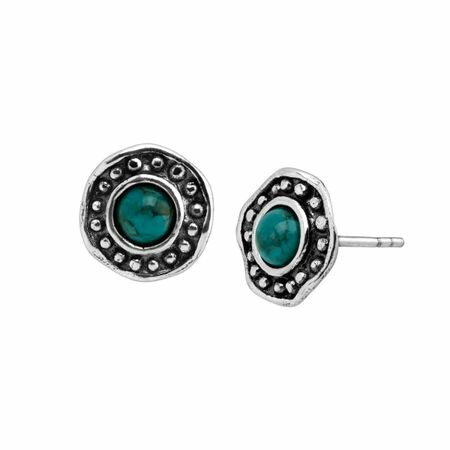 Turquoises dot the centers of these beaded and scalloped sterling silver studs. Earrings measure 7/16 by 7/16 inches and feature posts with friction-backs. Pieces come with “.925” sterling silver quality stamps as symbols of guaranteed product quality.